Senior Interclub singles competition is divided into 4 different grades. There are 4 players in a team. Each player will play a Singles game and a Doubles game. 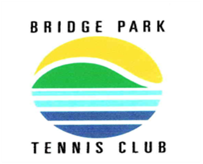 Senior Interclub doubles are divided into 3 different grades (Ferrier Cup, Presidents A and Open Presidents Age 30+). There are 8 players in each team. Each player will play two Doubles games, a Mixed Doubles game and a Men's or Women's Doubles game. Super Tennis is divided into Men's and Women's Grades. There are four players in each team who can play in any order. Each player will play three doubles matches, one with each team member, as time permits. Each game is made up of one set to eight only with a SUPER TIEBREAKER. Games are played on Saturdays starting at midday or 3pm and go for 3 hours. Two, three or four people per team. Competition 2 is Mixed Doubles. These competitions are played on alternate weekends on Sundays starting at 10am throughout winter months. Competitions run throughout the year. Post-Christmas Interclub runs approximately February to April. Junior Interclub is a competition open to all ages from beginners through to 18 years, covering a range of abilities. Two competitions run throughout the year. There are 4 players in a team. Each player plays two Doubles games. Games are played on Monday and Tuesday. Family Membership discount available. (2 Parents and 2+ children).